Interview by Composer Matthew Wang! Check it out HERE. Thanks so much to Professor Terry Tompkins and Mr. Haase! Check out Interning 101 author Emily White on American Express Open Forum as she gives tips on how to help recruit top new employees! Emily White on Making a Difference! Missed author Emily White on Sheetal Ohri's Making a Difference yesterday? You can check out the 10/29 interview HERE: http://bolly923fm.com/making-a-difference/, with a direct link here: http://bit.ly/2gWnqsz; enjoy! Thanks so much to the one and only Nancy Tarr of Well Dunn for hosting! Video teasers below. Video teasers below! Thanks so much to MEISA for hosting. Interning 101 @ Voyageur Book Shop! 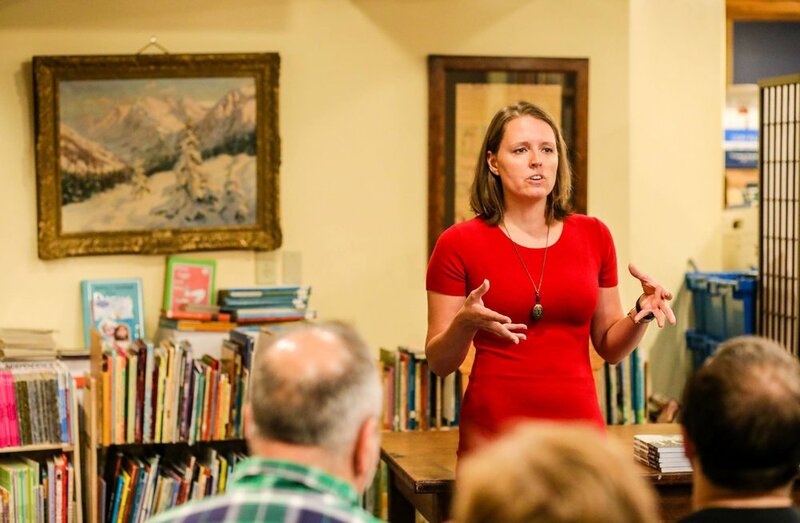 Thanks to all who came out for Emily White's Interning 101 book signing at Voyageur Book Shop in Milwaukee! Photos by Kelly Bolter Photography. Interning 101 @ N.Y.U. Mania! 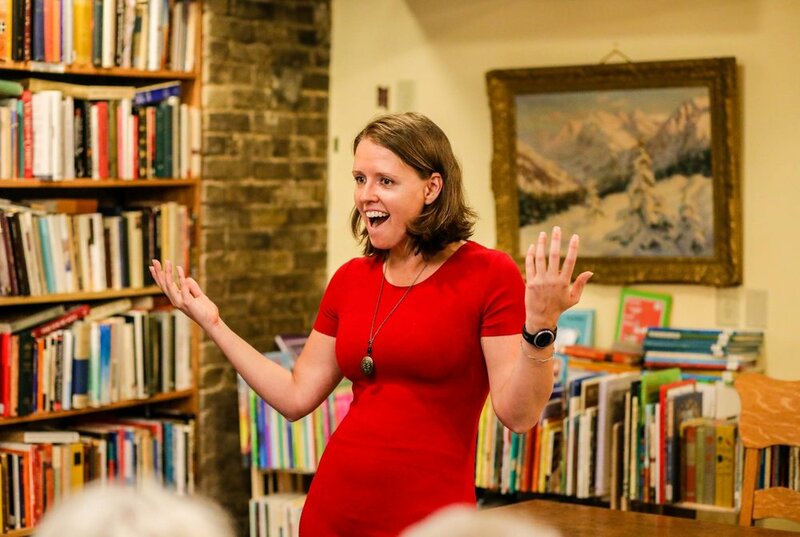 Emily White kicked off the Fall Semester's colloquium series at New York University resulting in a stampede for books! Thanks so much to Professor Larry Miller! Photos and video teasers below. Interview w/ Right to Play Interns! 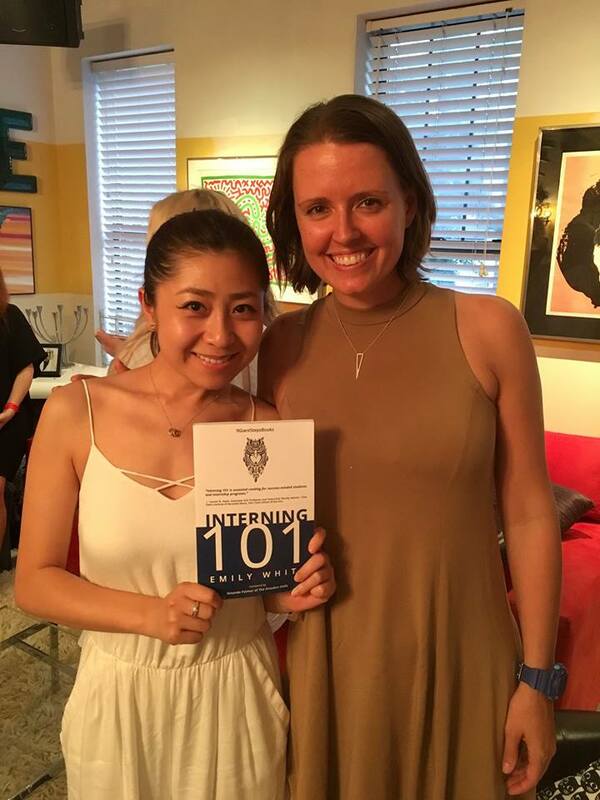 At a recent event, Interning 101 author met and interviewed Right to Play's summer interns. Video below! Emily White Featured in National Intern Day Video! New Interview w/ Emily White in The F-Bomb! 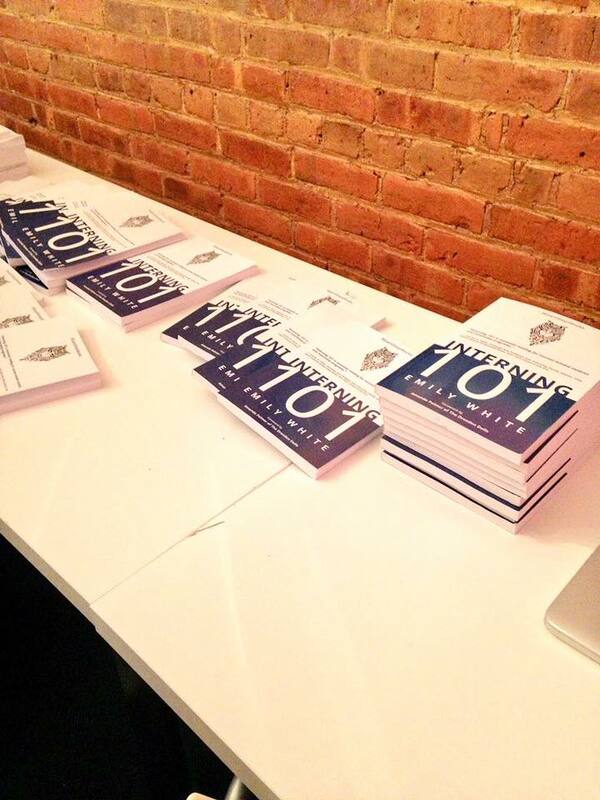 Interning 101 Book Party in Park Slope! Thanks so much to the incomparable Ariel Hyatt for hosting an Interning 101 book party at her gorgeous home! Photos below. 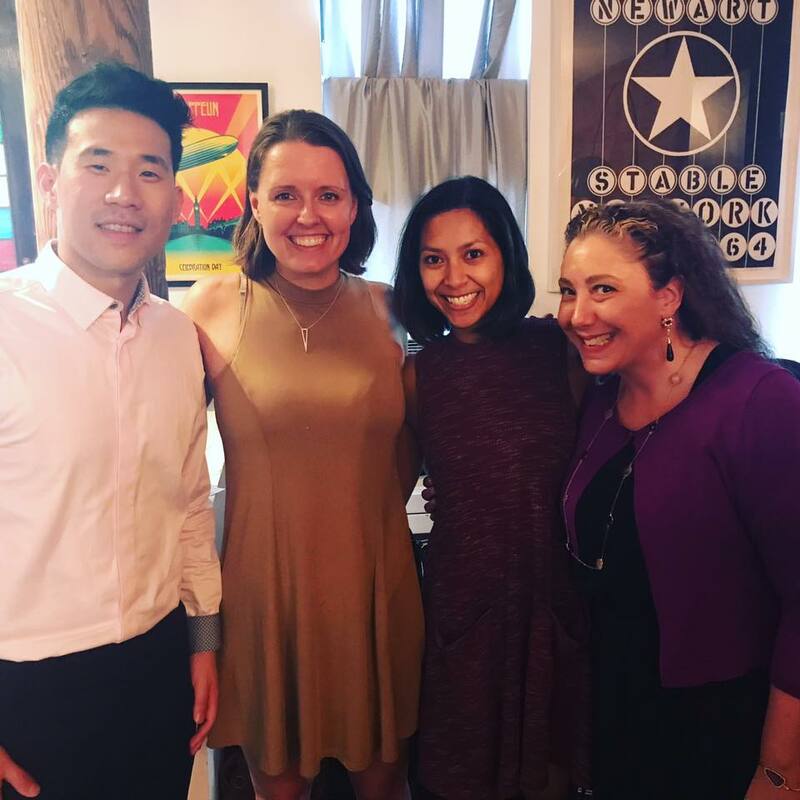 Author Emily White recently attended an Inside Sport Group Dinner. When an executive couldn't make it last minute, his seat was filled by an intern! Emily took this opportunity to find out what it's like to intern with Inside Sport Group. Check it out below! Emily White Interviews Publisher and Professor George Howard! Part two of our Interning 101 video series is author Emily White interviewing her former professor and current publisher, George Howard! Interning 101 @ Pace University! 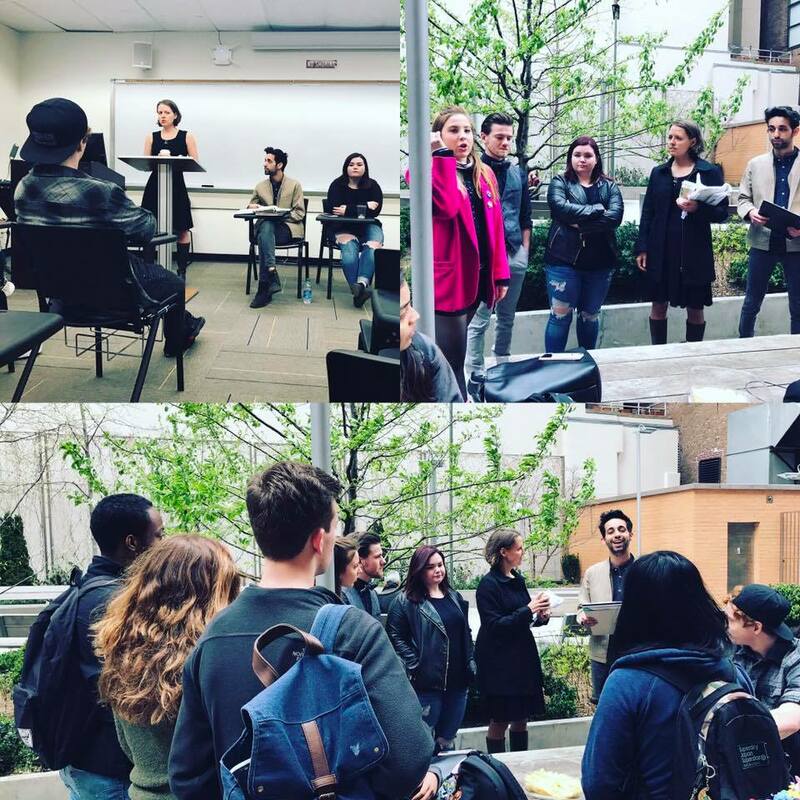 Creative problem solving at Pace University, as Emily White moderated a panel of active student interns on the topic of interning, when the fire alarm went off! So the panel was moved outside. Huge shout out to the awesome companies these student panelists actively or have interned at! 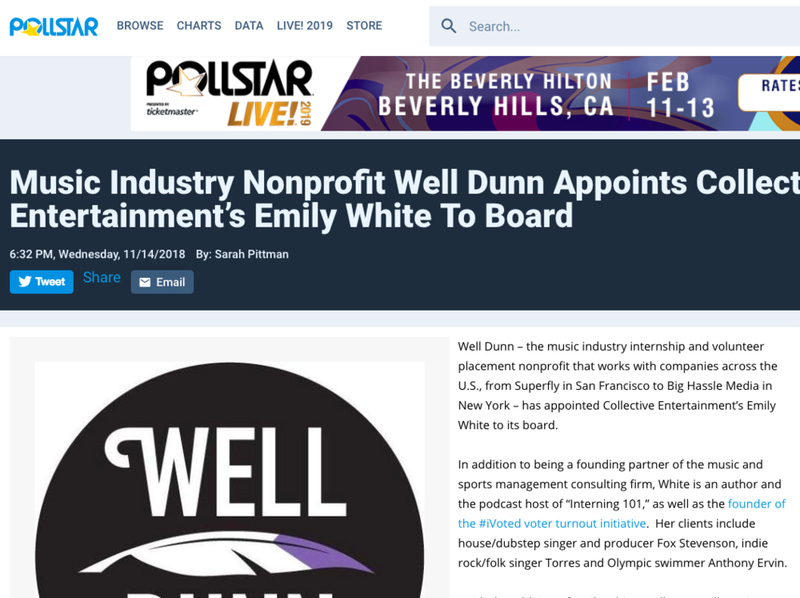 : Paradigm Talent Agency, Atlantic Records, BMG, Theatre Development Fund (TDF), The Michael J. Fox Foundation for Parkinson's Research. Missed Emily on alive at five? Check it out here! Emily White interviews her first boss ever - Winifred Chane! The foundation of author Emily White's career is rooted in her work with The Dresden Dolls beginning in college. Here, White dives in deep with Dolls' drummer Brian Viglione on interning and more! Interning 101 @ Northeastern university! 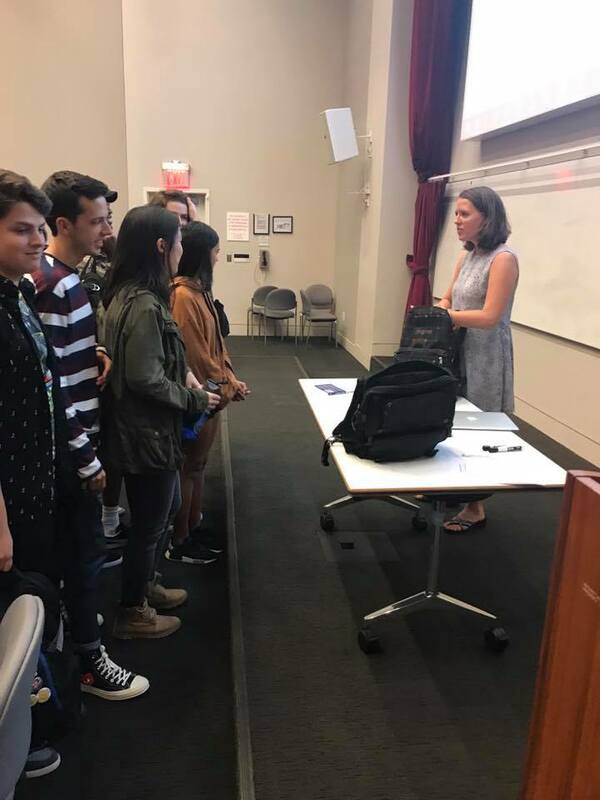 Emily was proud to bring Interning 101 to her alma mater - Northeastern University! Missed the livestream? Check it out below! And special thanks to Hugo Burnham of Gang of Four for coming out! Thanks so much to the legendary Lauren Davis for bringing Emily White and Interning 101 to New York University! Fun fact: Lauren has a pull quote on the cover of the book. Also pictured is attorney Joyce Dollinger. Interning 101 @ S.A.E. - Chicago! 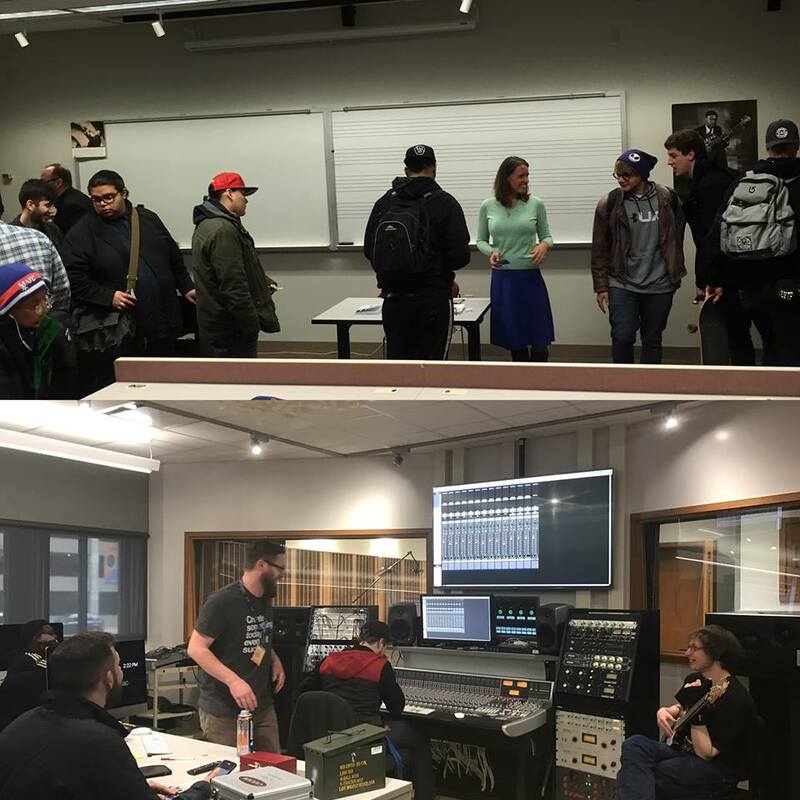 Martin Atkins brought Emily White and Interning 101 to Studio of Audio Engineering Chicago! Special guests included Eddie "King" Roeser of Urge Overkill along with Urge's longtime manager Beth Winer. Check out all of the content below including a special video by Martin and interview of Beth Winer by Emily! Interning 101 author Emily White was thrilled to bring the book to Milwaukee Area Technical College in March. Thanks so much to Professor Ben Hans for making it happen and to Summerfest Talent Buyer David Silbaugh for stopping by! Interning 101 @ Bowling Green State U! Interning 101 author Emily White kicked off her book tour with a Skype visit to Bowling Green State University! Says Professor Terry Tompkins, "The students hung out for 20 mins after talking about internships, etc!!" Don't miss Interning 101 author Emily White interviewed in Student Loan Hero on "7 Ways to Make Yourself Marketable for Post-College Jobs." Check it out HERE. Share our March 10th Facebook post or RT this tweet to be entered in a drawing for a free book. Winner will be announced April 3rd. Thanks for the support. Good luck!